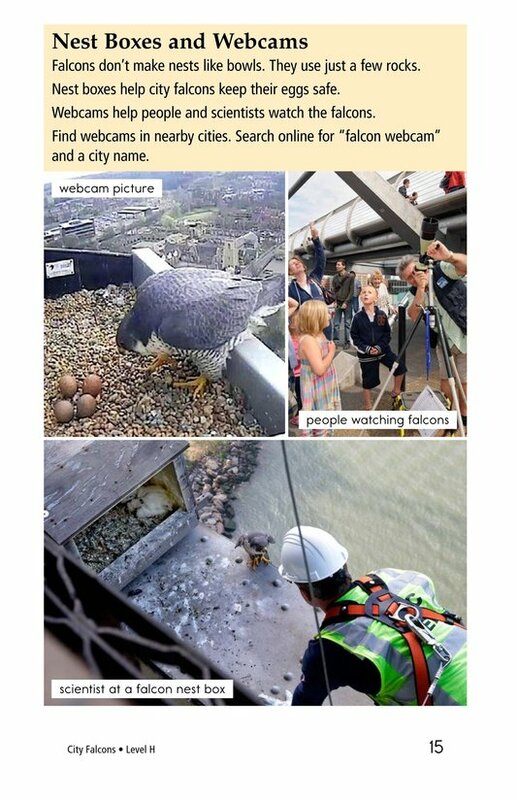 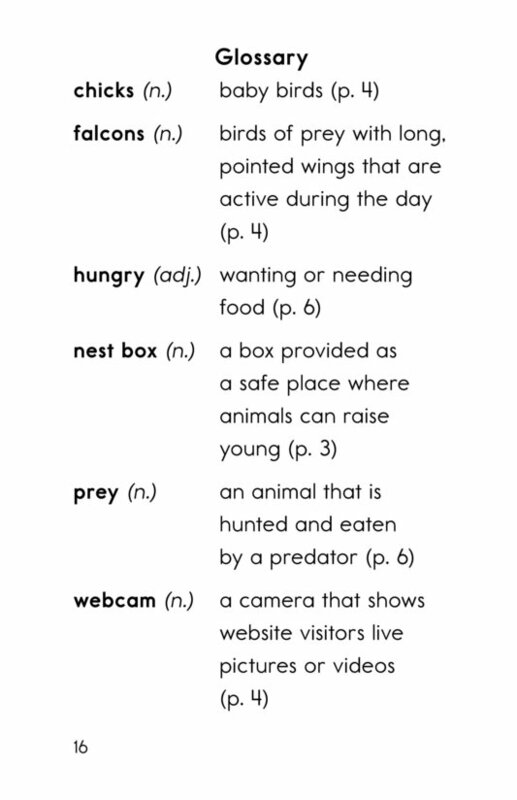 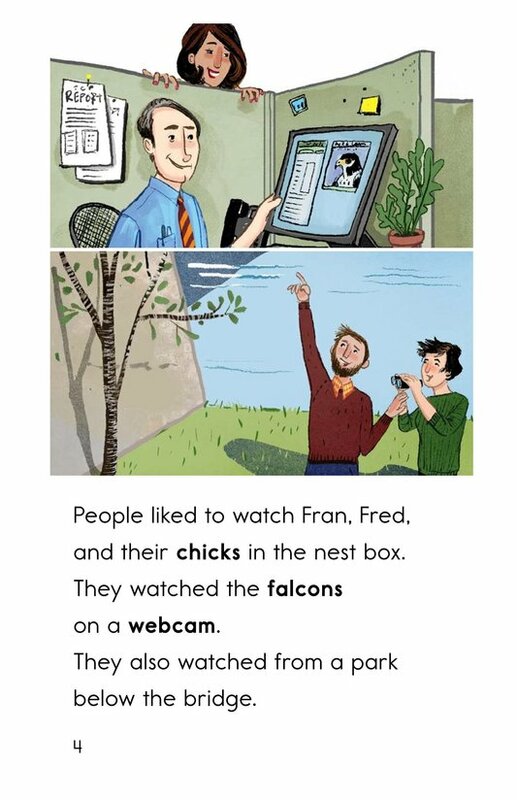 Falcons are amazing birds of prey, and those that live in the city get help from humans. 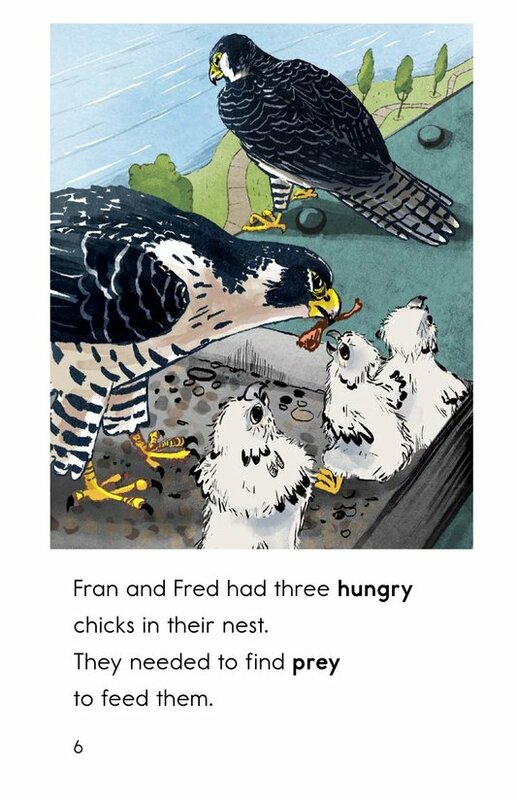 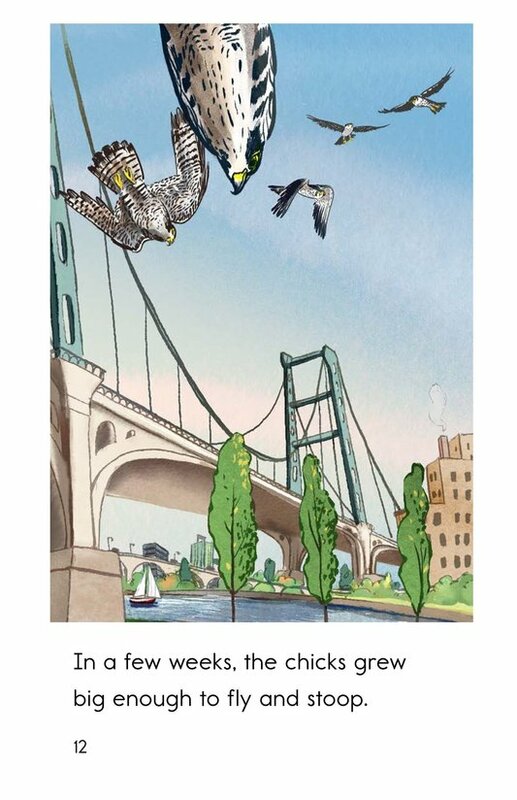 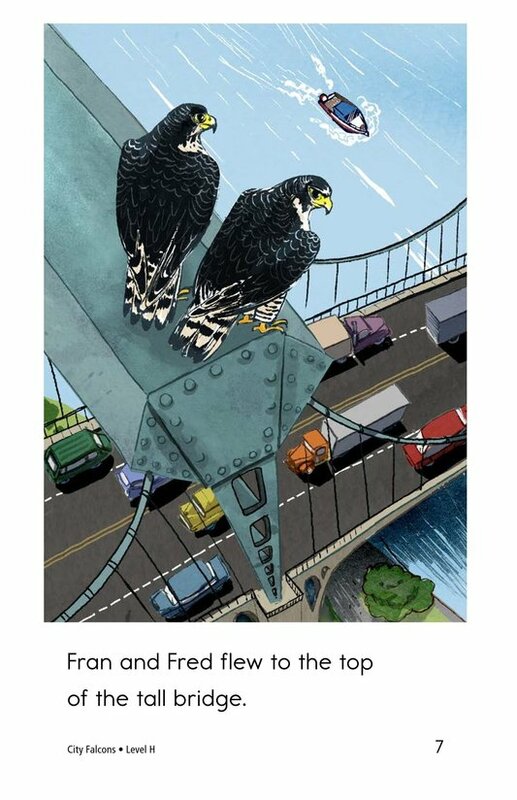 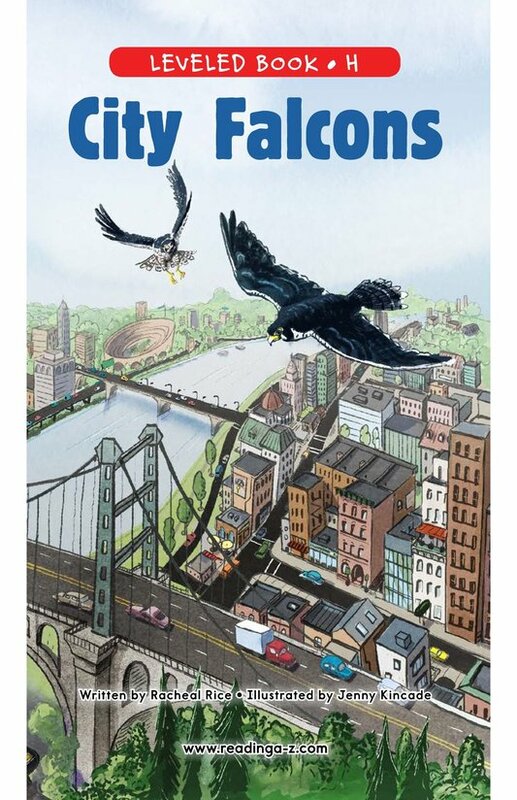 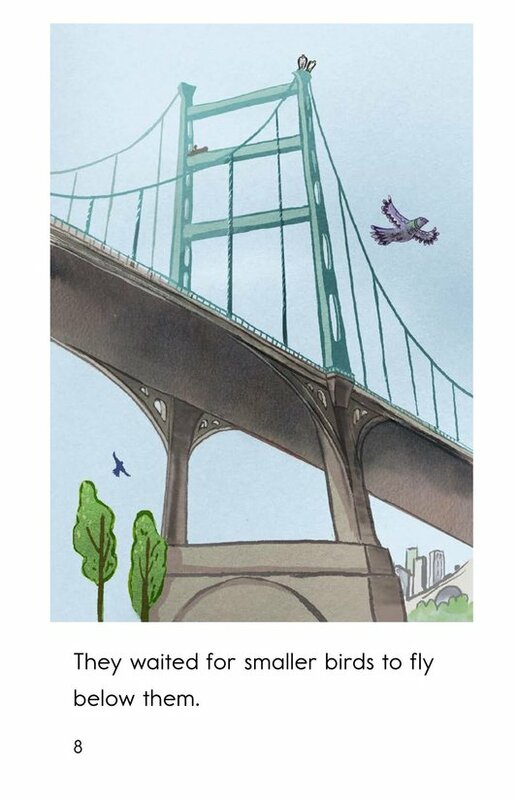 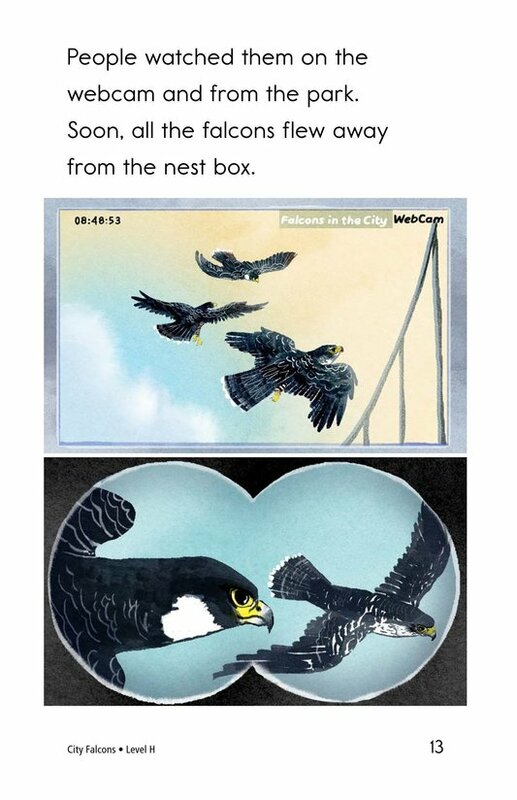 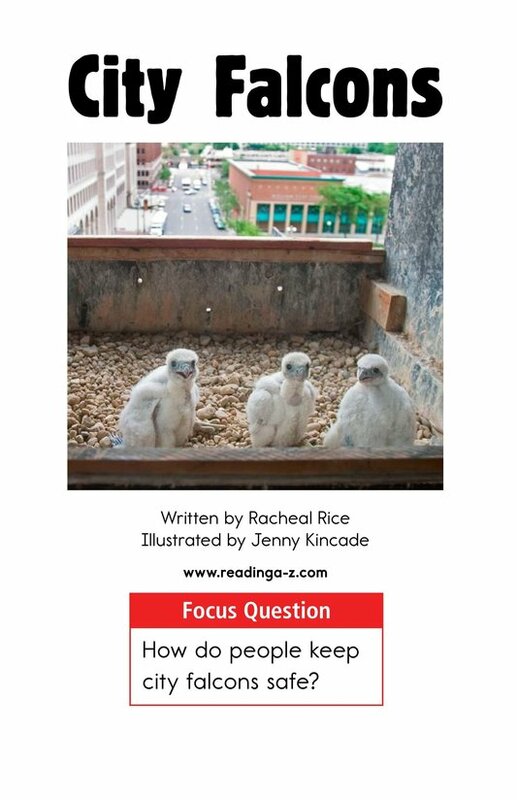 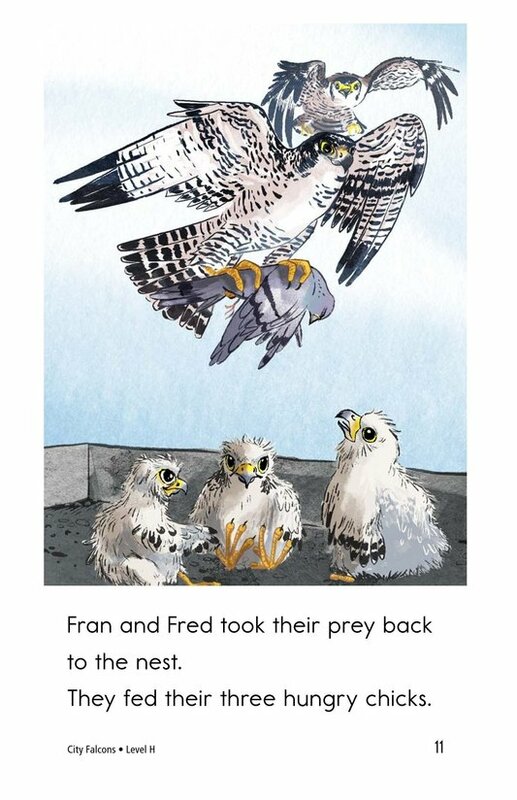 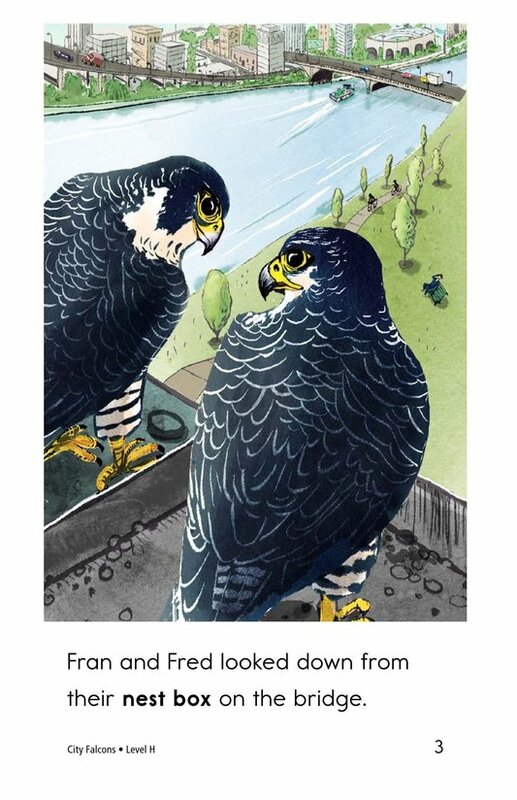 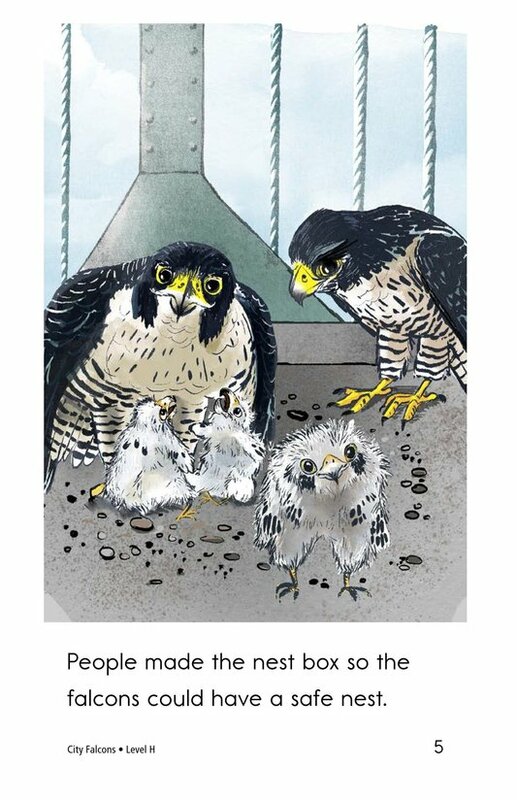 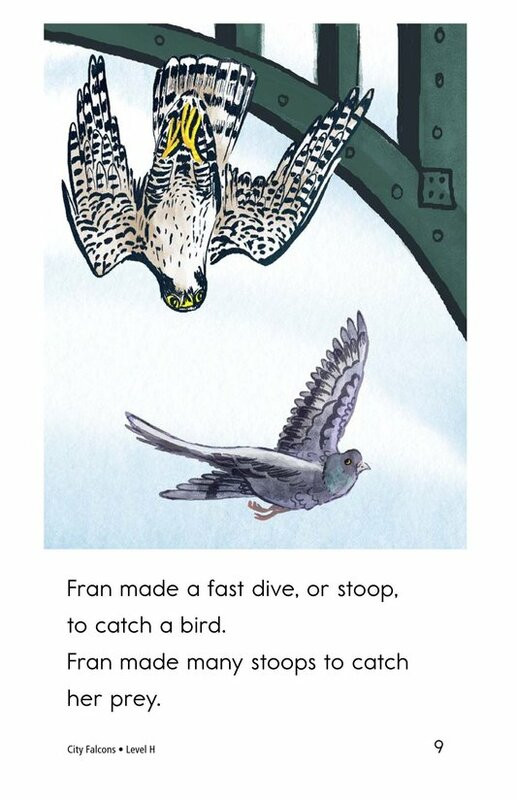 City Falcons provides interesting facts about how falcons adapt to raising their young in urban areas and how people can keep an eye on them. 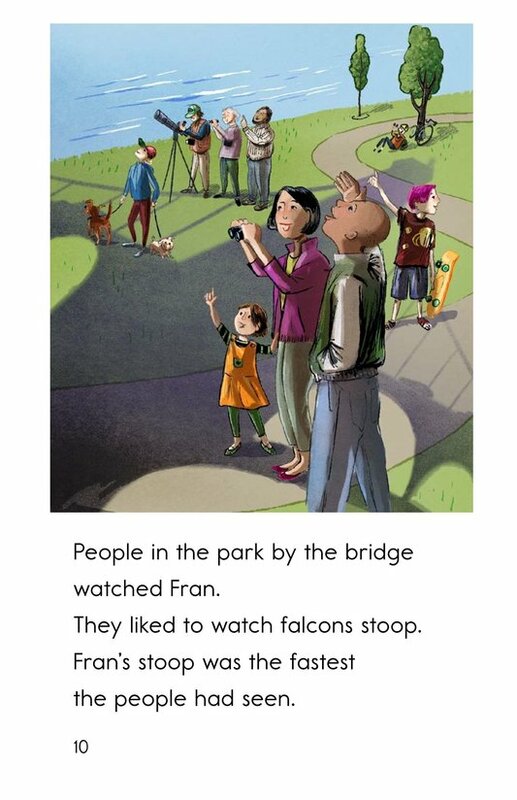 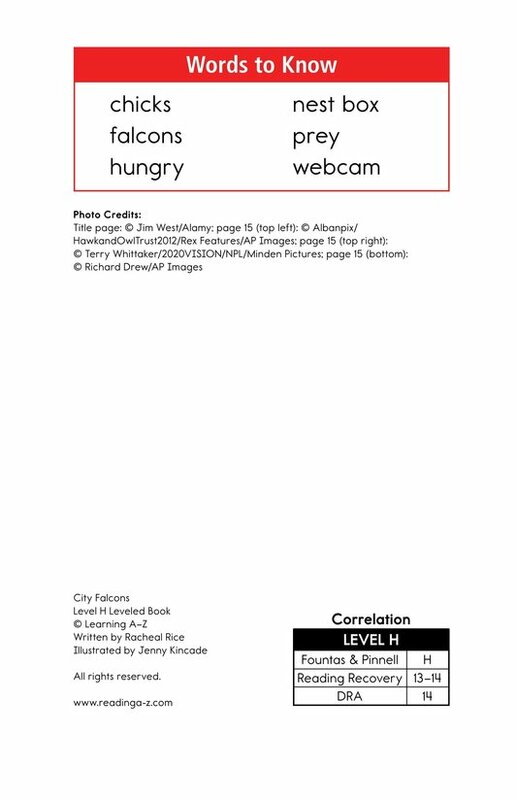 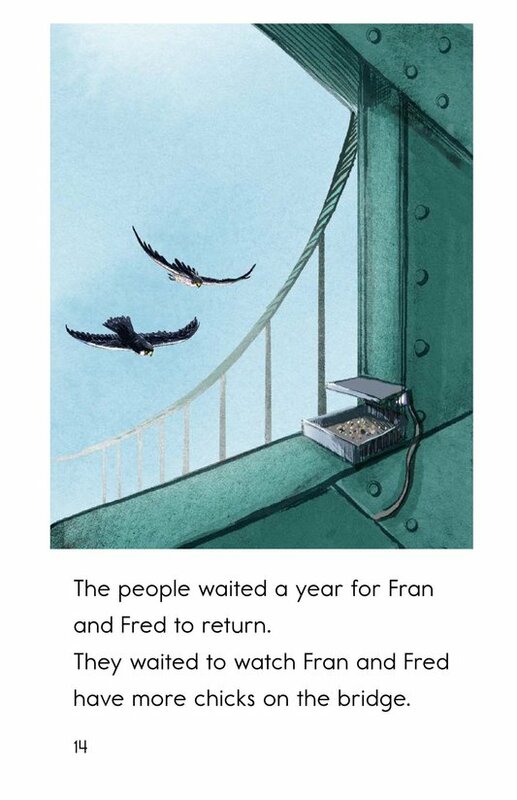 The story is written in a descriptive narrative format for transitional readers. 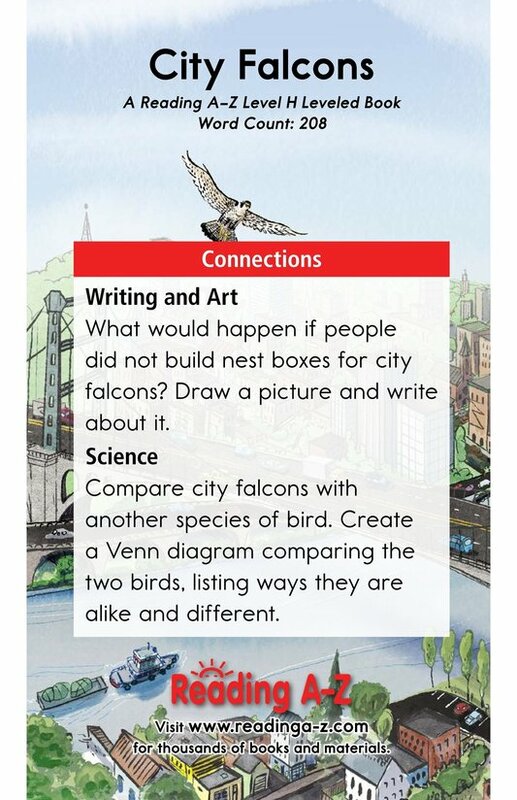 Students will also have the opportunity to make, revise, and confirm predictions as well as to identify characters and setting in order to better understand the text.